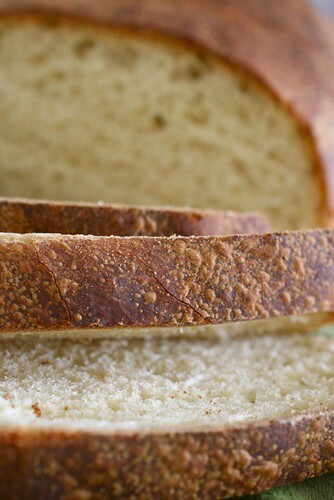 Do you have a favorite kind of bread? Personally I am a lover of all carbs, bread in particular. 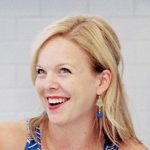 French baguettes, ciabatta, focaccia, brioche, bagels – you name it, I love it. But if I were to choose my very favorite type of bread, it would be sourdough. Strangely, sourdough is the one kind of bread I have not made at home since becoming comfortable baking with yeast. As you may know, sourdough requires a starter to give it that slightly sour flavor. I’ve made many breads that require a sponge or starter, but the starter for sourdough is a bit different. It’s not the kind of thing you make once, the day before you make the bread, and only the exact amount you need. You make it at least a week in advance, and even then you don’t use all of it so the rest can be stored and used again later. It occasionally needs to be fed to maintain it. Previously, I was slightly intimidated by the whole process. It seemed too involved, high maintenance, whatever – I just wasn’t feeling it. But you know what? I was really not feeling the sourdough-less house, and I hate to go buy something I could make myself. What to do then? 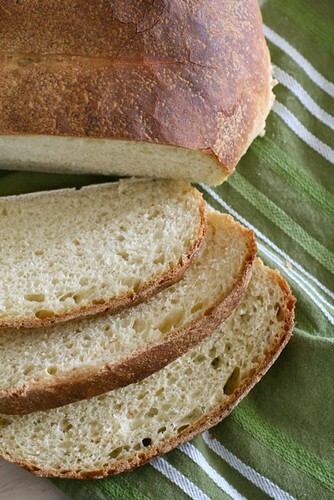 Learn how to make sourdough, starter and all! And I’m sure it will come as no surprise – it’s not a big deal. It’s really easy. And so delicious. So I’m here to demystify the process for you, because everyone should have fresh sourdough in their lives. I’ll start by telling you about this sourdough primer at King Arthur Flour. It is thorough and informative and can answer nearly any question you might have about sourdough. I’ll give a basic overview here but for more in depth detail, definitely check their site. Let me also say there are lots and lots of ways to make starters. None of them are right or wrong. This is just the method I chose based on the time available to me and the outcome I wanted. You can make your own sourdough starter easily with ingredients you probably already have on hand. Once you have it mixed up, it sits out at room temperature for about a week to attract wild yeasts and allow the fermentation process to occur, giving it that classic “sour” taste. 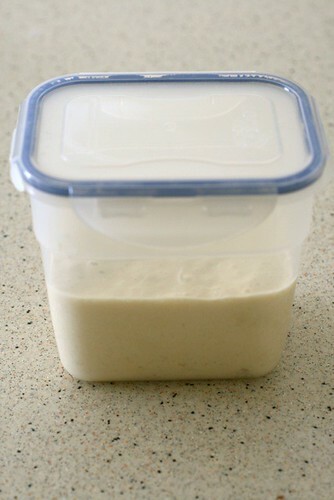 This is a basic sourdough starter and can be used in any recipe that calls for it. 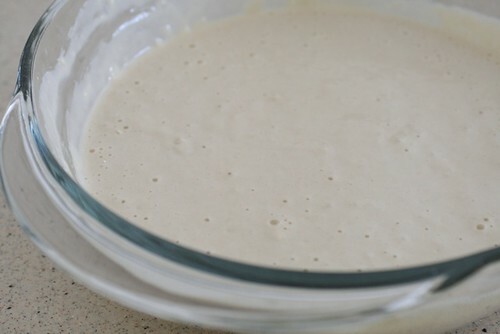 Keep in mind that all sourdough starters may vary slightly in consistency, so the amount of liquid or dry ingredients in a bread recipe may need to be altered slightly to account for these differences. Once your starter has developed, it is ready for use in bread, pancakes, and more! Here’s how I make basic sourdough bread. 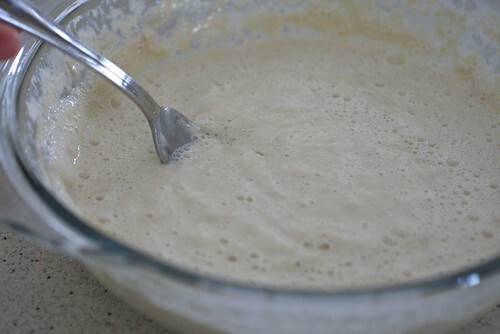 In the bowl of an electric mixer, whisk together the water, yeast, honey, and sourdough starter just until smooth. Cover with plastic wrap and let stand at room temperature until slightly increased in bulk and bubbly, about 1 hour. With the flat beater attached to the mixer and the mixer on low speed, mix in 3 cups of the flour, the butter, eggs and salt. 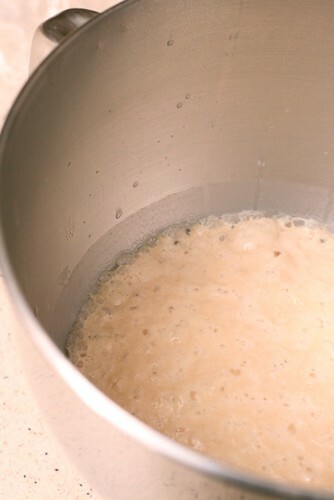 Increase the speed to medium-low and mix until smooth, about 1 minute. Add in 2 more cups of the flour and beat for 2 minutes. Switch to the dough hook. 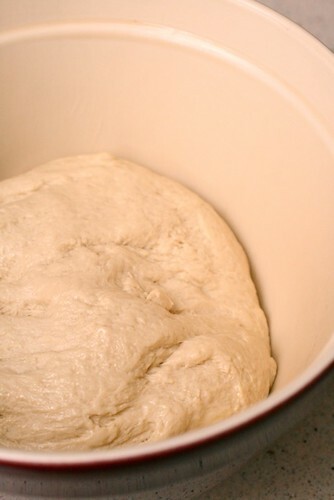 With the mixer on low speed, add the remaining flour, ¼ cup at a time, until a very soft dough forms that pulls away from the sides of the bowl. Knead on low speed, adding a tablespoon of flour if the dough begins to stick, until the dough is smooth and elastic, tacky but not sticky, about 6 minutes. 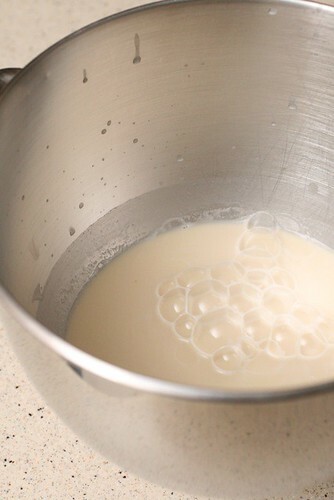 Form the dough into a ball and transfer to a lightly oiled bowl, turning once to coat. Cover loosely with plastic wrap and let rise until doubled in bulk, about 1½-2 hours. Line a baking sheet with parchment paper or a silicone baking mat. 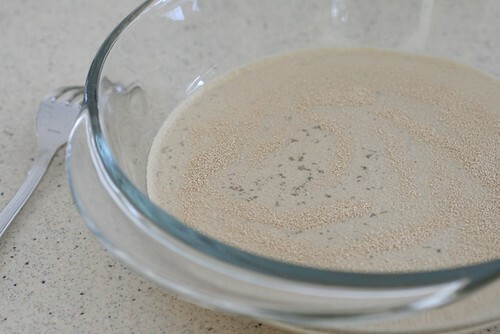 Sprinkle generously with the flour-cornmeal mixture. 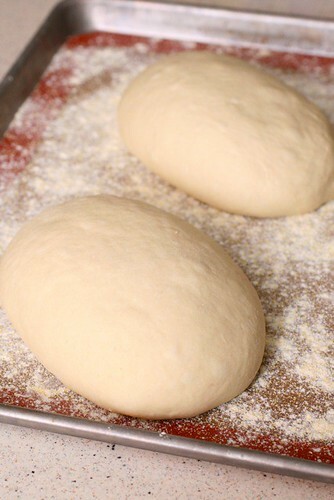 Turn the dough out onto a lightly floured work surface. 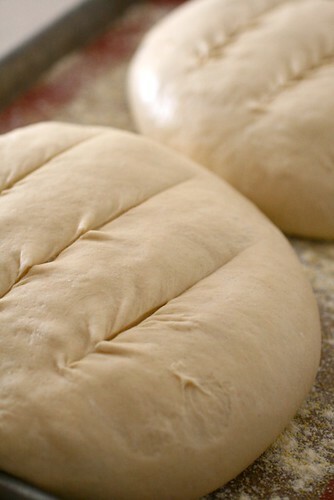 Divide the dough into two equal portions and form each into a tight, oval loaf. Place the loaves on the prepared baking sheet, several inches apart. Sprinkle the tops with flour and gently rub in. Cover loosely with plastic wrap and let rise in the refrigerator, 8-12 hours. Using a thin sharp knife, make three slash marks over the top of each loaf. (Oops, my knife wasn’t quite sharp enough!) Place the baking sheet on the heated baking stone and bake for 10 minutes. Reduce the oven temperature to 400˚ F and continue to bake until the loaves are golden brown, 25-30 minutes more. Let cool completely on a wire rack before slicing and serving.